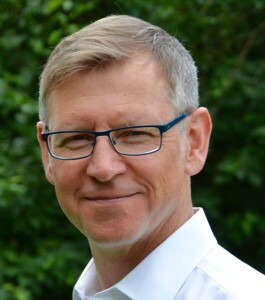 Henning M. Bloech has worked in sustainability and business leadership positions for over 15 years including as Executive Director of the GREENGUARD Environmental Institute (GEI), Global Sustainability Director for INVISTA, and Commercial Director for Underwriters Laboratories (UL). performance initiatives, building indoor air quality related standards, programs, and certifications worldwide. Henning helped start GEI as its first employee in 2001 and as its Director he was instrumental in establishing the GREENGUARD Indoor Air Quality Certification program as the world’s leading indoor air quality program. Prior to working for UL, Henning was the Global Sustainability Director for INVISTA Performance Surfaces and Materials. He developed and led environmental strategies and programs for INVISTA Performance Surfaces and Materials businesses and brands. Henning holds a Masters Degree from Georg August University in Göttingen, Germany. He is a graduate of the UL Executive Leadership Program at the Yale School of Management, a LEED Accredited Professional, a member of the WELL Materials Advisory, a founding member of the Green Products Roundtable and the TFM Green Buildings Advisory Board.